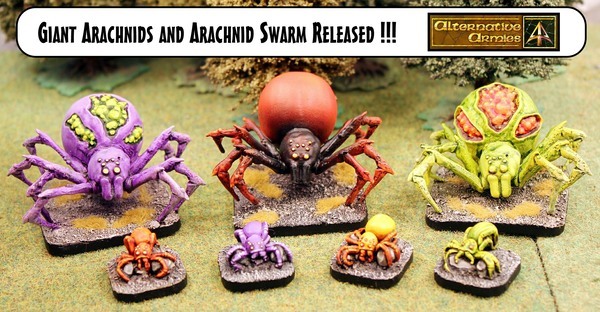 New releases into two different ranges at Alternative Armies this time. 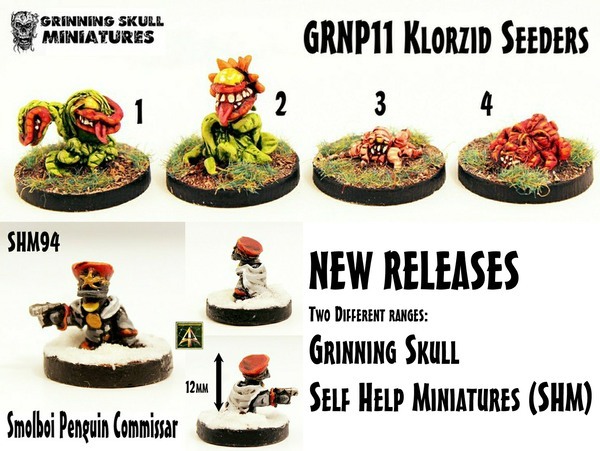 From Grinning Skull Miniatures four new miniatures adding to the weirdness of killer plants and oddness of strange creatures. A two header Sprouter, a Klorzid Sapling, a Nightmare Spider and Worm Pile. These follow up on the new Zargalian codes. In the SHM (Self Help Miniatures) a new 15mm Penguin Commissar (yes really!) the first sculpt by Brendan Sterma. Have a look. March to War is on until 9am GMT 16th April. Sengoku Monster Hunters of the Guild released! Five great 15mm Japanese characters. Also four 15mm scale Japanese Buildings as singles or a saver value set. 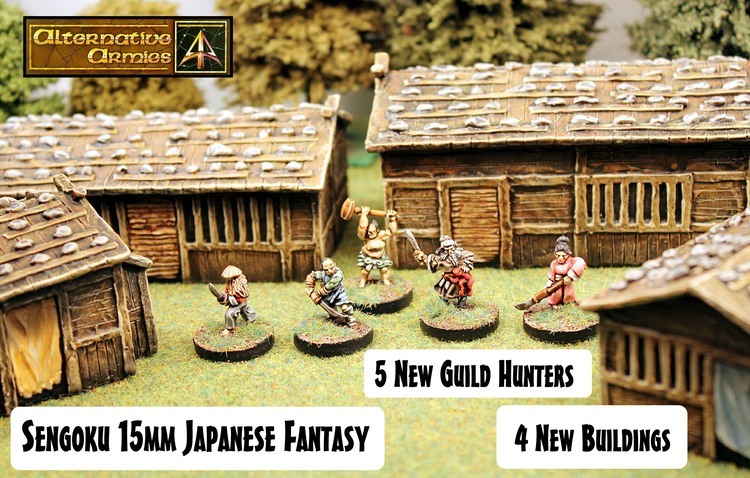 Added to the biggest Japanese 15mm Fantasy range in the world with one hundred and thirty codes. Check out the article for more pictures and information. Remember the March to War mega event is on and that means 10% off the entire website (including this release) and free shipping worldwide on 20GBP or greater in cart.